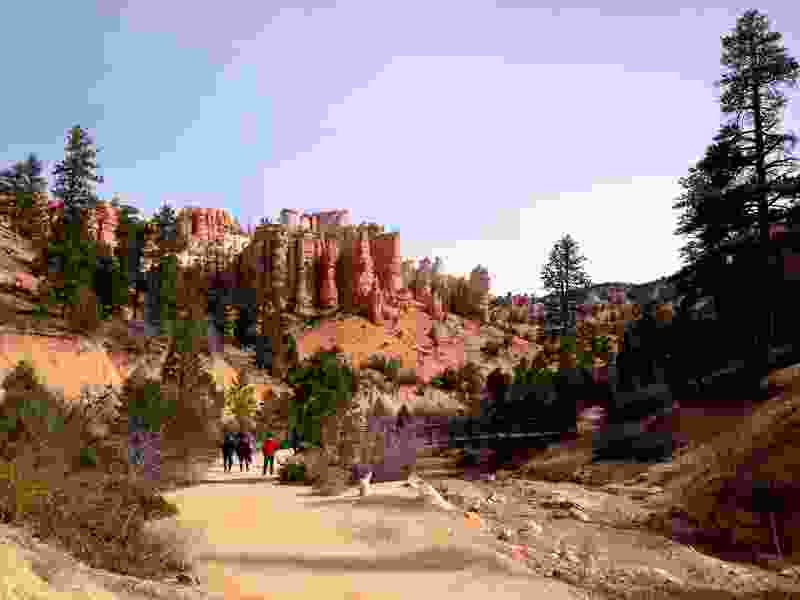 Erin Alberty | The Salt Lake Tribune Hikers approach a bridge as hoodoos stand sentry over the trail to Mossy Cave on March 31, 2016 in Bryce Canyon National Park. Last October, Interior Secretary Ryan Zinke proposed to increase peak-season entrance fees at 17 parks from $25 to $70 — the largest hike since World War II. Joshua Tree National Park in California, where the peak season starts in January, would have been the first to charge the higher rate, followed by a dozen other parks where visitation peaks in May and June. The cost of riding a motorcycle into the parks would have risen to $50 and walking or biking in would have cost $30. An Interior official familiar with the changes now being discussed said some type of increase remains almost certain, but the dramatic hike is being reconsidered for fear that it would cause visitation to plunge, reducing sorely needed revenue at top destinations such as Yosemite in California, the Grand Canyon in Arizona, Zion and Bryce Canyon in Utah, and Yellowstone in Montana, Idaho and Wyoming.